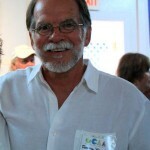 Tommy Vogel is a self-taught artist from Gulf Shores, painting sea life, landscapes and still life, mostly in pastel. His first love is teaching adults and students the true joy of creating a beautiful piece of art. WEDNESDAYS: PAINTING IN PASTEL, Jan. 9-Feb. 13, 10am-12pm, Gulf Coast Arts Alliance, $120.00 for the six week course, all supplies included. 251-948-2627.